The death toll of Palestinian refugees killed in war-torn Syria has been dramatically on the rise due to the frequent projectile attacks and clashes targeting Palestinian refugee communities, bringing the total number to 2290 casualties, the Action Group for Palestinians of Syria reported Monday. 173 Palestinian refugees were killed in the Deraa camp due to continued shelling and clashes near it while its inhabitants suffer from dire living conditions, ceaseless bombardment, and frequent power cut-offs, along with fuel and bread crisis, the Action Group documented. Meanwhile, a state of anxiety prevailed among the Palestinian refugee communities as an explosive barrel was dropped by Syrian warplanes on the Muzeirab town, in Deraa, a home for hundreds of Palestinian refugees. According to a report by the Action Group, the current state of affairs of the Palestinian refugee communities has been made worse due the siege imposed on the Yarmouk refugee camp in Damascus for more than 12 months running despite the neutralization agreement signed 10 days ago. The death toll of Palestinian Yarmouk refugees has gone up to 926 until the end of May, including 151 refugees who died due to acute shortages in basic food items and medical supplies. 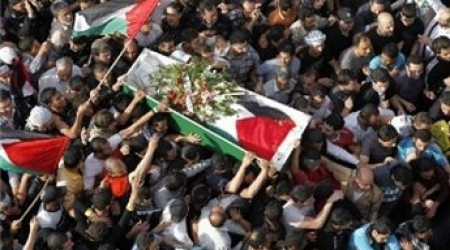 In a survey conducted earlier, the Action Group attributed such a rise in Palestinian casualties to the projectile attacks, sniping, clashes, and death-to-torture tactics targeting Palestinian refugees in Syria and taking away the lives of, at least, 2,290 Palestinians so far. Medicines and foodstuffs in the Khan Sheeh camp have almost gone out of stock due to the frequent blockade of the passageways between the camp and the city center as a result of the clashes and shelling. Despite their full control of Husseiniya and Sabina refugee camps since late 2013, the Syrian regime army and its militias still prevent their displaced Palestinian residents from returning to their homes, according to human rights groups. The displaced families received official pledges from the Syrian regime to allow them to return to the camps, but all to no avail. Consequently, the displaced residents of the camps suffer from exhausting economic burdens, especially since many of them cannot afford their house rents and have no jobs. 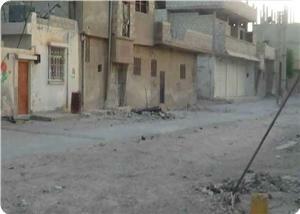 In Al-Yarmouk camp, the residents are still under tight blockade by the regime forces and its allies. 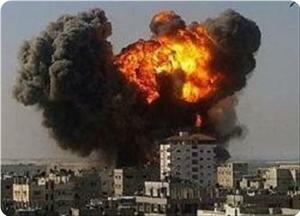 Three Palestinian were killed on Wednesday in different circumstances in the Palestinian refugee camps in Syria. Action group for Palestinians in Syria said in a statement that Amer Darwish from Aadeen camp in the city of Homs, died in mysterious circumstances as he was missed a year ago while serving at Moshah school in Aleppo. According to the group, Mohammed Maweed,19, from Yarmouk refugee camp, died due to liver disease during his serving in the Palestinian Liberation Army. Maweed, was detained in the prisons of the Syrian regime for one year. The statement added that Imad Diab, 27, died while trying to remove the remains of a bomb targeted a neighborhood in Daraa. The bomb exploded and he died instantly. Violent clashes broke out between the Syrian regime army and groups of free Syrian army near Aleppo International Airport in Aleppo. In the countryside of Damascus, a state of tension and anxiety prevailed among Palestinians in Khan al-Sheikh camp for Palestinian refugees, as the camp was targeted last Tuesday by explosive barrels. One was killed and several were injured and some of them were in critical situations. The Palestinian refugee Khalil Issa was killed in Khan Sheeh refugee camp in Reef Damascus after being targeted by explosive barrels, Action Group for Palestinian Refugees in Syria said on Wednesday. Syrian warplanes dropped two explosive barrels at Khan Sheeh refugee camp in Damascus, which led to the death of a Palestinian refugee and the injury of several others in addition to significant material damage. Khan Sheeh refugee camp and its surrounding agricultural lands are daily subjected to bombing with explosive barrels and artillery shells. 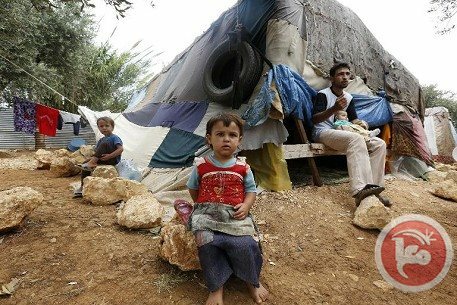 The refugee camp also suffers acute shortage of food supplies and medicines due to the frequent blockage of roads linking the camp with the city center and the tense situation. In Aidin refugee camp in Homs, Syrian regime forces shut down Hamas office after raiding and searching it, in addition to closing two educational institutions in the camp established by Hamas Movement to provide free services to Palestinian refugees in the camp. In Daraa city, Palestinian refugees in Muzeireeb camp suffer very poor living conditions due to the frequent water cuts forcing the residents to buy water at heavy prices. Muzeireeb refugee camp has received hundreds of families who were displaced from the neighboring camp of Daraa due to the heavy shelling. On the other hand, a state of anticipation has prevailed among Palestinian refugees in Yarmouk camp after signing the truce agreement a week ago between Syrian authorities and armed groups in the camp. Yarmouk refugee camp has been under siege for a whole year, which led to an acute shortage of food and medical supplies. Hundreds have starved to death along the past year in the besieged camp. In a related context, UNRWA declared its disability to provide humanitarian aid to 18 thousand refugees trapped in Yarmouk refugee camp in spite of the truce agreement. UNRWA said that Yarmouk camp has been without humanitarian aid for nearly a month, warning of the deteriorating living conditions there. 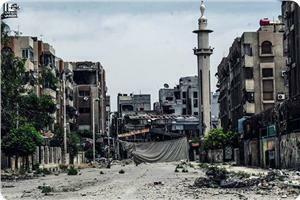 UNRWA spokesperson Chris Gunness said that UNRWA is extremely concerned that its distribution of food to civilian families in Yarmouk last took place on 23 May 2014. The most recent UNRWA distribution of hygiene kits was on 7 June 2014. Civilian residents of Yarmouk continue to contend with grave conditions as their basic humanitarian needs and the requirements of humanitarian access remain unmet. UNRWA continues urgently to seek a resumption of its humanitarian activities inside Yarmouk and is appealing to the parties to the 21 June agreement to make this resumption possible. The Agency stands ready to implement a rapid humanitarian response to address the immediate and longer term needs of the civilians of Yarmouk, he added. "UNRWA will continue to advocate for continuous, substantial and safe humanitarian access to Yarmouk, and for the protection of Palestinian and Syrian civilians." At least 43 Palestinian refugees were killed in war-torn Syria during June 2014, the Action Group for Palestinians of Syria documented. According to the group on Tuesday, 15 Palestinian refugees were tortured to death in Syrian prisons while 16 refugees were killed in projectile attacks. 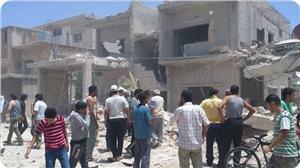 Brutal clashes across different Syrian neighborhoods claimed 4 more lives. The Action Group further reported that two Palestinian asylum-seekers were killed in mysterious circumstances while two Palestinians were shot dead by Syrian snipers. Another refugee was reported dead after he was kidnapped. A Palestinian refugee was left dead at the Yarmouk refugee camp due to the siege and lack of medical care. Meanwhile, Syrian warplanes have been hovering over the Khan Sheeh refugee camp. A wave of explosive barrels dropped by the warplanes rocked its surrounding areas and farms, leading to a state of panic among the Palestinian refugees. Living conditions at the camp have become remarkably dire due to the severe crisis in basic food items and medical supplies. The current state of affairs in al-Aidin refugee camp has been marked with anxiety as a number of military aircrafts kept on flying at low altitudes and a wave of blasts hit areas in its vicinity. The situation has been made worse due to the frequent power cut-offs going on for long daily whiles, estimated at more than 16 hours a day. Scores of homes belonging to the Palestinian Hittin community have been ravaged in projectile attacks while others have been targeted with burglary.